In the last tutorial we learned how to properly use SharpDX in our XAML apps so we can get the power of DirectX without having to touch native C++ code. However, it was a very superficial introduction for demonstrative purposes that didn’t take into account anything more than single page applications. Using that code in real-world applications would introduce lots of problems (memory leaks, bad performance, crashes) that we are going to learn how to fix in this article. So, we are going to learn how to extend that code so it behaves better when our application has page navigation, gets snapped or is suspended/reactivated. Now that we are focusing on integrating SharpDX with XAML applications, we have to take into account proper finalization of the created resources when navigating away from pages that contain SwapChainPanel/SwapChainBackgroundPanel controls. 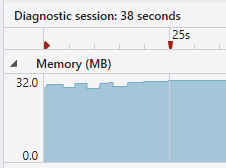 There is a memory leak in the application, because when we are navigating away from the page, we aren’t disposing any of the SharpDX resources we have created for rendering. And since they are wrappers over native objects, they will hardly be automatically reclaimed by the garbage collector. UPDATE: SourceSize isn’t the most appropriate approach to use when the application is being snapped, since it’s thought for uniformly scaling the swap chain to smaller sizes in less powerful hardware; using it this way will stretch the output image when drawing with Direct 3D. In this case, setting a different viewport will be enough. Now we take into account when resizing happens so the swap chain dimensions match those of the control it is associated with. DirectX 11.2 introduced the new SourceSize property for DXGI.SwapChain2 objects, which lets you specify a region equal or smaller than the swap chain’s total size so you don’t have to always destroy and recreate it, only in the cases that a bigger one is needed. This will work nicely in a number of cases but it’s far from perfect. Remember that I said that the specified region should be equal or smaller in size to the swap chain’s dimensions? If you make the control bigger at runtime or launch the application in snapped mode and resize it to full screen, you will receive a 0x887A0001 (DXGI_ERROR_INVALID_CALL) exception. So, the logic outcome is to check the new size of the control and resize the swap chain if a bigger one is needed then set the SourceSize property, isn’t it? While technically true, it is still missing a minor detail: all resources linked to a swap chain must be destroyed before calling SwapChain2.ResizeBuffers. In our case it’s the render target and its associated resource view, so if you call the previous code as-is, you will receive the a dreaded DXGI_ERROR_INVALID_CALL exception again. At last, we are going to implement a new requisite when creating Windows Store apps that use DirectX: calling the DXGI.Device3.Trim method when the app goes into suspension. This function frees some internal buffers created by the graphics driver for faster performance and must be used to reduce the app’s memory footprint so there are less chances of it being terminated while suspended. The buffers will be transparently recreated when the app is reactivated, introducing only a minor execution delay. As always, you can get the full soure code (Windows Store C#/XAML Universal App project, compatible with Visual Studio 2013 only) from GitHub. Since the first SharpDX posts in this blog, the preferred method for creating the tutorial’s Direct3D Windows Store apps has been using the CoreWindow approach. This decision was made to focus on the core functionality of DirectX and because XAML interop performance was less than stellar in the first releases of Windows 8. However, time has passed and the state of this relationship has greatly improved, and with the availability of Windows Runtime in Windows Phone with the 8.1 update through Universal Apps, it’s time to explore this exciting new technology. First of all, if you haven’t heard about Universal Apps yet, it’s a new project type that allows you to share as much code as you want between Windows Store and Windows Phone apps. This has been achieved by sacrificing the old Silverlight application model and enabling Windows Phone devices to run Windows Runtime apps thanks to an updated kernel. Although with minimal differences, the APIs in both operating systems are almost the same – in the case of DirectX, Windows Phone finally has support for Direct2D and DirectWrite among others, and the API version has been bumped up to 11.2. You can even share XAML pages, although providing a custom UX for each platform is strongly recommended. It’s as simple as opening your copy of Visual Studio 2013 (Express for Windows version is supported too) and create a new Visual C# > Store Apps > Blank App (Universal Apps). This will create a new solution with three projects: the base Windows 8.1 project, the base Windows Phone 8.1 project and a shared one that will contain all source code and assets common to both platforms. The default template creates a MainPage page in each platform, but we are going to share the XAML code for now. So, move one of them to the shared project and delete the other. Now open the NuGet package manager and install the SharpDX.Direct3D11 package in both the Windows and Windows Phone projects; this will automatically add its dependencies too (SharpDX and SharpDX.DXGI). We must query the DisplayInformation class to obtain the current logical DPI of the screen. 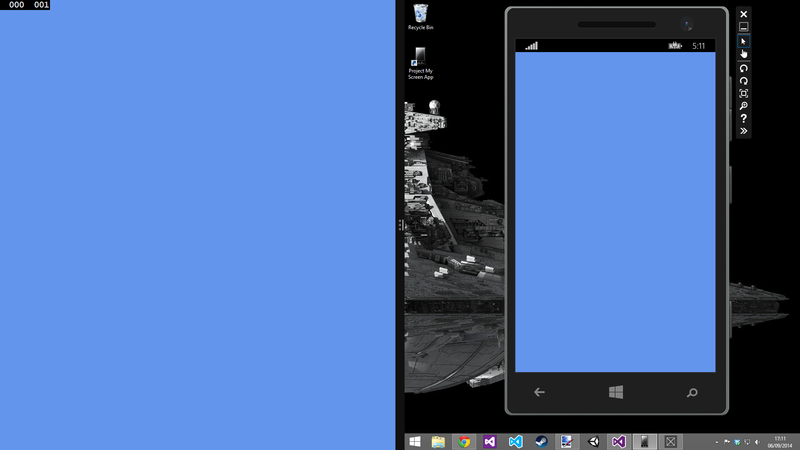 Although not common in Windows, in Windows Phone devices XAML layout is specified in virtual pixel values that don’t match the physical screen resolution. The swap chain dimensions must be explicitly specified. Using CoreWindow you could specify automatic sizing. We must cast the SwapChainPanel control to the ISwapChainPanelNative interface to properly set its swap chain. When available, we will be using the DirectX 11.2 version of the data types to take full advantage of the new features. // BGRA 32bit pixel format. // Unlike in CoreWindow swap chains, the dimensions must be set. // In case the control is resized, stretch the swap chain accordingly. // No support for stereo display. 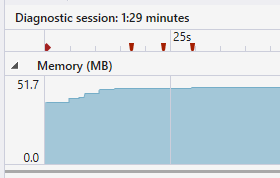 // Sequential displaying for double buffering. // This swapchain is going to be used as the back buffer. Obtain the automatically created SharpDX.DXGI.Factory3 by queriying the Direct3D device for the SharpDX.DXGI.Device3 interface, and obtaining the reference to its parent. Use it to create the swap chain and then cast it to SwapChain2. // Get the DXGI factory automatically created when initializing the Direct3D device. // Create the swap chain and get the highest version available. // Set its swap chain. // Set the active back buffer and clear it. // Tell the swap chain to present the buffer. As always, you can download the source code for this tutorial in its corresponding GitHub repository. This time you will need Visual Studio 2013 to open it due to the new project types used by Universal Apps.